This Easter is a momentous one in Irish history as we mark 100 years since the Easter Rising. All over the country special centenary events are taking place. 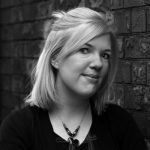 Here in DHR, some of our team have written about how they will be spending Easter and the commemorative period. Living at the doorstep of Kilmainham Goal has – over the years – provided me with a constant reminder of lives lost in the Easter Rising. I visited Kilmainham on a school tour when I was just five years of age. I remember some of the details as if it were yesterday: The building was in serious disrepair. A tree had overtaken the little chapel where Joseph Mary Plunkett and Mary Gifford married just hours before Plunkett’s execution. 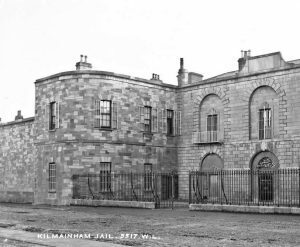 While the structures of Kilmainham Goal have been restored, a more recent visit still offers a tangible connection to the events of 1916. The Rowan Gillespie sculpture across from the jail’s entrance is a relatively new addition. The bullet holes, eye masks and stance of each figure make for a sometimes chilling interaction. The past weeks have seen ever-growing queues outside Kilmanham Goal. The upgraded plaza area and the restoration of the adjoining court house into a visitor experience will – no doubt – increase footfall and interest. That said, it is a visit that prevails, as it did in the five-year old me. This year, I plan on having a quiet Easter after the excesses of St Patrick’s Day weekend. I’m heading home to Thurles for a few days and plan on going for lots of walks, and possibly climbing the incredibly challenging Devil’s Bit mountain (it’s probably technically a hill!). In between eating my body weight in chocolate, obviously. I’d love to be in Dublin for the 1916 events on Easter Sunday, alas the promise of my mother’s roast dinner is luring me home, but I definitely plan on checking out some of the events in the capital on Easter Monday. According to the Ireland 2016 website, there are synchronised wreath laying ceremonies throughout Dublin at 1.15pm on Easter Monday, so I will definitely head into town for that. I live not too far from Glasnevin Cemetery, and while I’ve been there a good few times I’ve never actually done the guided tour, so Easter Monday might be a particularly apt day to finally do it. This Easter weekend I’m heading down to beautiful Blarney in Co Cork for a few days of relaxing and exploring. 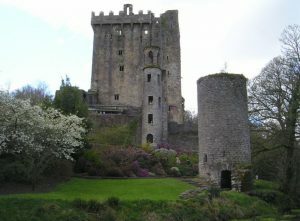 I’ll be visiting Blarney Castle and taking advantage of a few of Blarney’s great walks / nature trails as I slowly step up my training for Hell & Back. I’m hoping that might help counteract my chocolate consumption. After a couple of days away, I’ll be looking forward to returning to Dublin and going along to some of the great events to mark the Easter Rising centenary. I’m hoping to make it to the National Library of Ireland for a few hours to soak up the atmosphere at ‘Reflecting the Rising’ and I’m also planning to observe the wreath-laying ceremony at the Royal College of Surgeons. I have always been of the belief that Easter is a real positive time of the year, marking the end of winter and the start of the run into summer. This year in particular will be no different, with the clocks going forward and a longer stretch in the evening to look forward to. It has always been a bit of a family tradition to use Easter as an opportunity to give the house a bit of a spring clean after the winter months, so I’ll probably find myself dusting down the lawnmower or dipping into a tin of paint at some point. 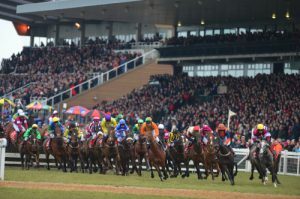 However, it won’t be all work and no play as I intend to make the short trip down the road to Fairyhouse Racecourse on Easter Sunday for the opening day of the Easter festival. And of course for the year that is in it, I am very excited about heading into Dublin on Easter Monday for the 1916 centenary celebrations. All in all, I’m looking forward to a sociable weekend and I’m sure chocolate might enter the equation at some point. Let’s hope the weather is kind! 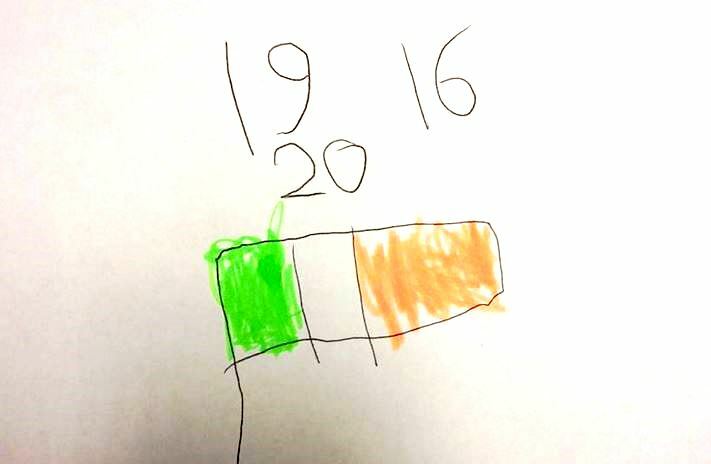 Proclamation Day was the more interesting thing to me because all the schools across the country put up their flags. And most of the schools sang the national anthem.